The people on entry shall compare their accompanied luggage with duty-free luggage quotas specified by Vietnam before their customs declaration. If people on entry do not have accompanied luggage, which exceeds the duty-free quotas, or which is delivered before or after their trip, they shall not have to make customs procedures on Vietnam’s exit/ entry declaration forms. 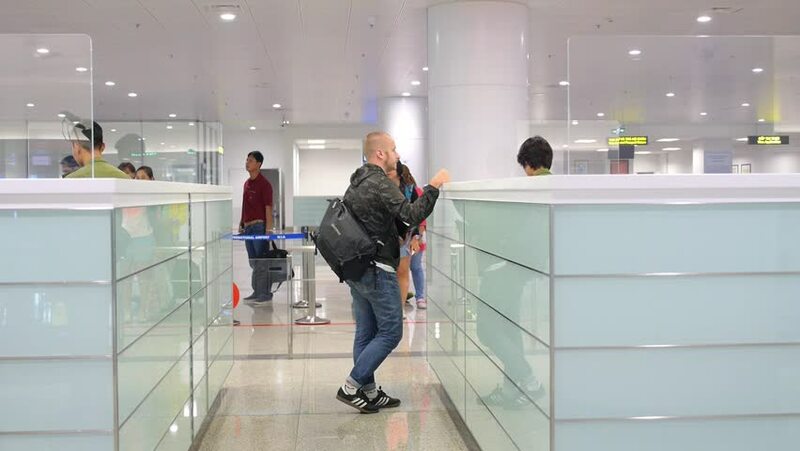 People on entry carry luggage, which exceeds the duty-free quotas, they shall have to make customs procedures on Vietnam’s exit/ entry declaration forms. The excess volume shall be considered import goods, which must comply with law provisions on import goods and duty and tax legislation. People on entry may select articles to pay duty and tax thereon if the accompanied luggage contains several articles. In cases where the excess volume of the duty-free luggage quotas of people on entry must be taxed, but the total payable duty amount is under VND 50,000 (fifty thousand), such volume shall also be exempt from duty and tax. People on multiple entry due to the nature of their jobs shall not be entitled to enjoy the duty-free luggage quotas for each time of entry for the articles prescribed at Items 1, 2, 3 and 5 in the Appendix to this Decree, but enjoy the duty-free quotas every 90 (ninety) days (People on multiple entry due to the nature of their jobs are the drivers of airplanes, trains, sea-going ships, crew on these international vehicles; and car drivers and Vietnamese laborers working in neighbor countries which share common land borders with Vietnam). Luggage of people on entry means things essential for their daily needs or trips, including accompanied luggage, unaccompanied luggage sent before or after their trips. The time limit for receiving unaccompanied luggage of people on entry shall not exceed 30 (thirty) days as from the date the luggage arrives at the border gates. People on exit or entry may deposit their luggage at the border-gate customs warehouses and reclaim them when they are on entry or exit. The luggage deposit time limit shall not exceed 180 (one hundred and eighty) days as from the date the luggage is deposited at the customs warehouses. In the luggage deposit duration, if people on exit and entry make written documents to abandon their deposited luggage, or, if, past the luggage deposit time limit, they fail to reclaim them, the chief of the border-gate customs sub-departments shall organize the liquidation or destruction thereof according to law provisions in cases where such luggage has decayed. The proceeds from the goods liquidation shall be remitted into the State budget after subtracting the arising expenses from preservation and liquidation of the goods according to law provisions. The duty-free luggage quotas for each person on entry are stipulated for each time of entry, not to aggregate the duty-free quotas of several people on entry for settling the duty exemption for a person on entry, except for the accompanied luggage of members of a family on the same trip. For liquor: if people on entry carry the complete bottle, pot, jar or can (hereafter referred collectively to as bottle) with a volume of not more than 01 (one) liter in excess of the prescribed quota, the whole bottle shall be exempt from duty; if the volume exceeds the above-said limit, they must pay tax on the excess volume according to law provisions. For cigarettes and cigars: people on entry may carry them only within the duty-free quotas; if they carry them in excess of the duty-free quotas, the excess quantity must be deposited at the border-gate customs warehouses and reclaimed within the given time limit. For clothes, belongings and other articles in service of their daily-life needs: people on entry may carry them with reasonable quantity and types suitable to their trips’ purposes. The luggage of people on exit shall not be restricted, except for the articles on the list of goods banned from export or subject to conditional export according to law provisions. Circular No. 113/2005/TT-BTC of the Ministry of Finance of December 15, 2005 guiding the implementation of the Law on Import Tax and Export Tax.